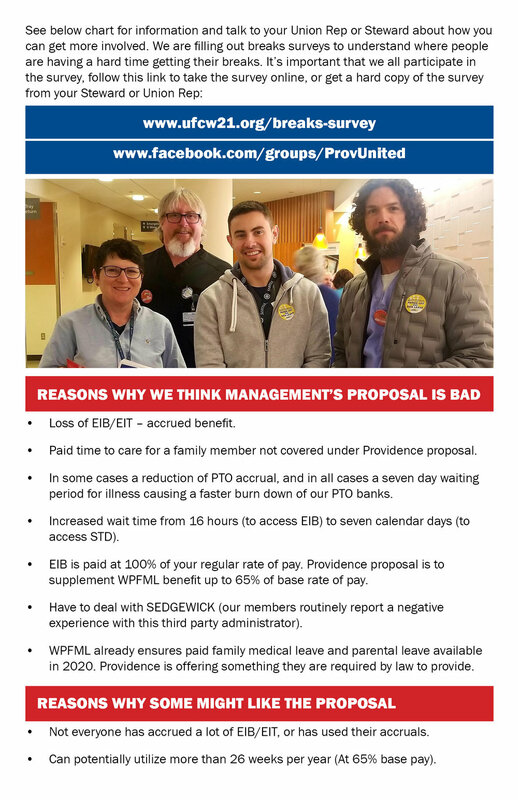 Yesterday, our union member bargaining team met with the employers’ representatives for the first time in our 2019 contract negotiations. We were able to present a series of what are called non-economic proposals to the employers and they will now have the opportunity to review them, respond to our initial proposals and also present theirs to our team at following sessions. Our set of proposals are grounded in the feedback we received from a record number of member surveys. We discussed secure scheduling with more advanced notice and control, short staffing, getting more training, workplace safety, and proposals to make our union stronger. 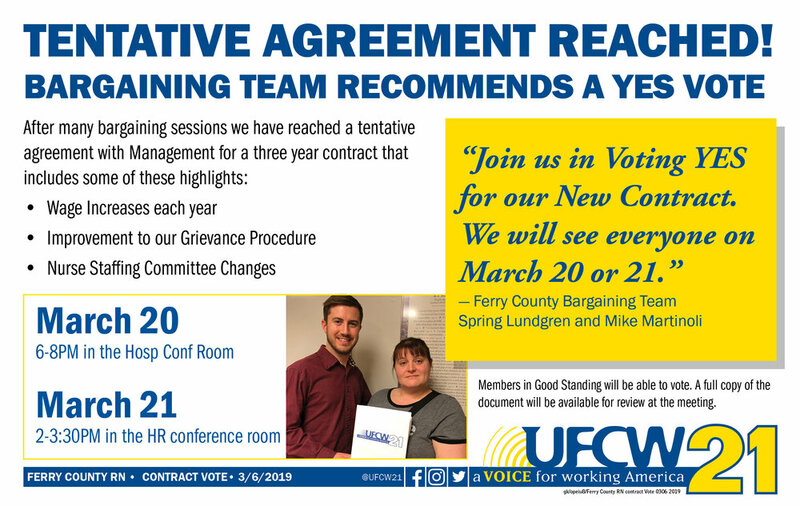 Attend an upcoming Contract Action Team meeting near you to find out more about bargaining and help plan our first set of actions for the month of April. 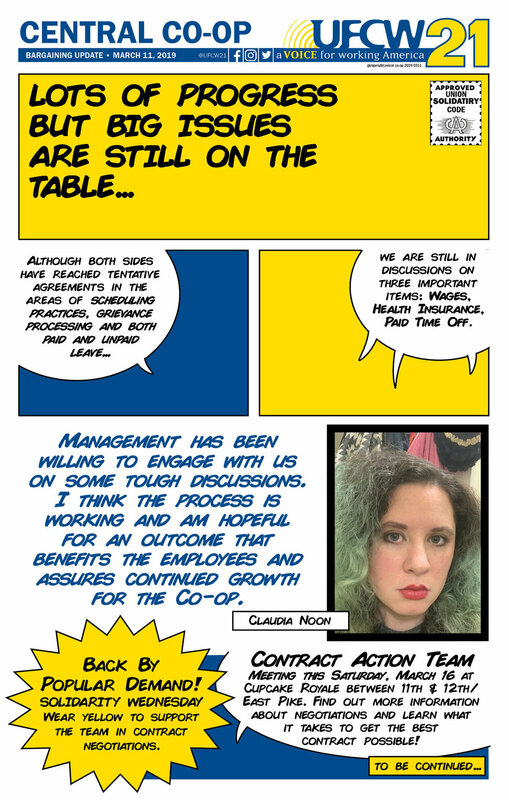 Get some of your co-workers to download the UFCW 21 app so they can receive the most up-to-date information on the negotiations. Please make sure that your Union Rep has your current phone number and email address. Our Union member bargaining team gathered this week to make final preparations for the 1st bargaining session with our employers in the upcoming contract negotiations that will begin in March. These negotiations are our opportunity to improve and protect our wages, benefits and working conditions. 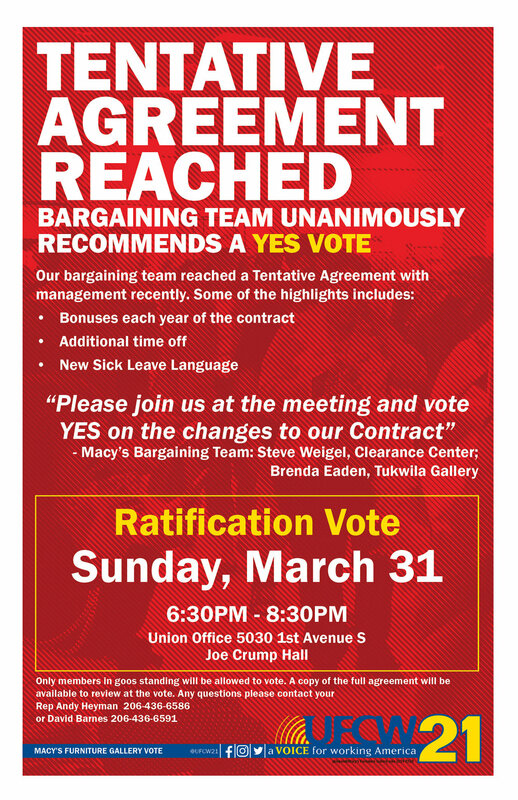 Work over many months, meetings with members, getting a record number of member surveys, and holding a great kick off with leaders from stores across the region have all helped to pull together a strong bargaining team and to prepare a series of our initial proposals to improve our jobs in our union grocery stores. 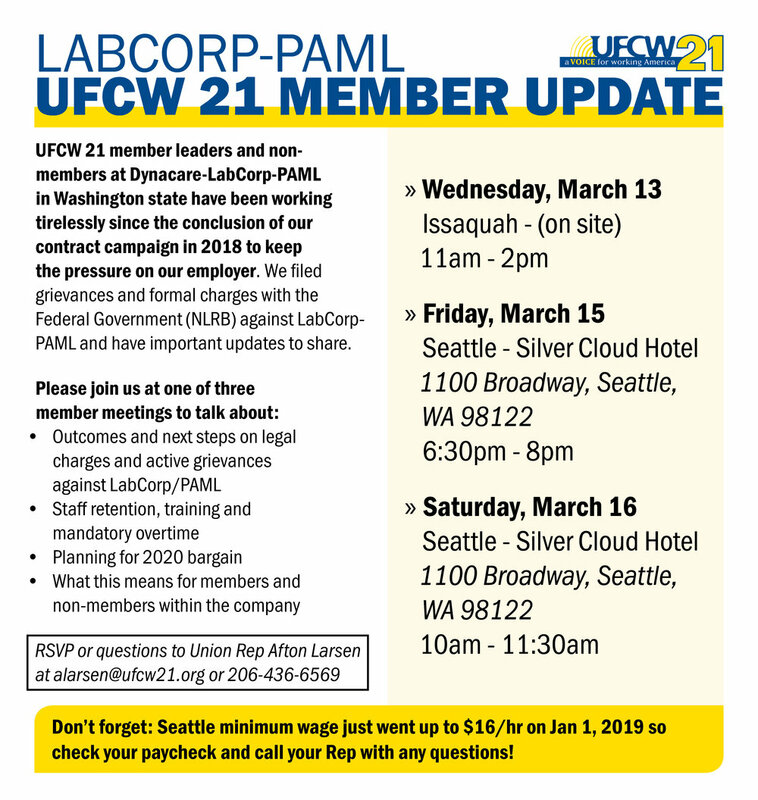 UFCW 21 and Teamsters 38 will be negotiating together again this year. 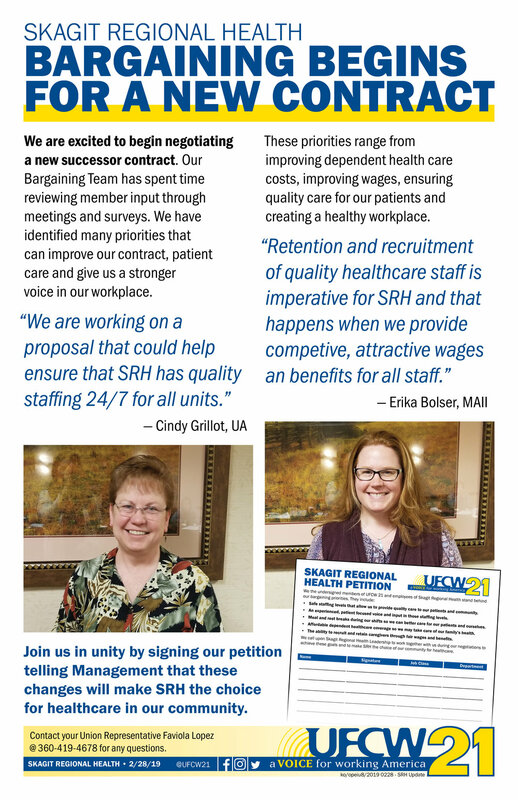 The bargaining team is made up of members from across the region and from all banners, as well as a diverse representation of various departments, experience levels, and each of the contracts that will be renegotiated. 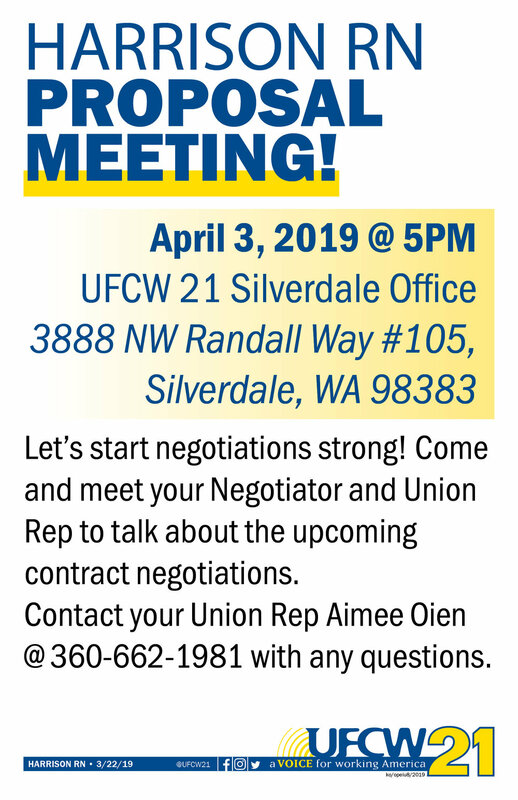 You are all invited to join a live Telephone Town Hall on the evening of March 12th and we will relay what happened on the first day of bargaining and answer member questions. You will receive a phone call in advance with details.